This entry was posted in Australia Study in Australia and tagged Australia student visa application Australia student visa checklist Australian Student Visa Australian student visa fees Australian Student Visa requirements on March 26, 2014 by Blog Author. Australia has many world-class universities and institutions of higher learning. And, it also boats of an excellent weather, recreation facilities, and great scenic attractions. It is no wonder then, that Australia, the island country-continent attracts students from the world over. 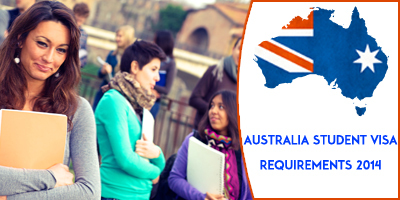 But, to come or arrive in Australia, the applicant has to have a student visa of Australia. And, there are many types of Australian student visas too depending on the subject of studies (or, kind of course) that the student wishes to undertake and also the type /kind of studies (higher-level or lower-level) he/she wishes to pursue. There are also English language course visas, and there are two sub-types within it. 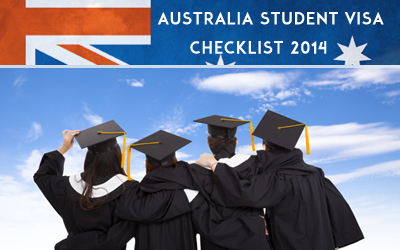 In Australian student visa, there are visas for the school-level also (571). And, there are informal non-award visa category sector (575) and Aus Aid or defense sector visa (576) visas. Some of the other main requirements for obtaining a student visa to Australia are a minimum level of competence in the English language, and this can be demonstrated only through scores obtained in standardized tests (e.g. IELTS, etc.). 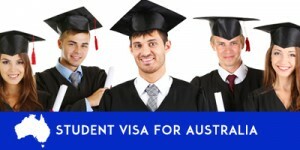 There are also fees payables for each type of Australian student visa. There are also rules pertaining to the ‘dependents’ accompanying the students visa applicant. Another requirement is the health insurance coverage requirement. This can be obtained by obtaining the ‘Overseas Student Health Cover (OSHC)’. Also, processing times for granting the student visa vary depending upon the student’s educational program, his/her date of application, etc. After a Australian student applicant meets all the basic and required criteria for the student visa for Australia, he/she is granted a student visa. i am the student of 2nd year and i want to go caneda for further study and complete my engineering from caneda so plx …… gave me student visa .